Beauty products I’m loving right now. 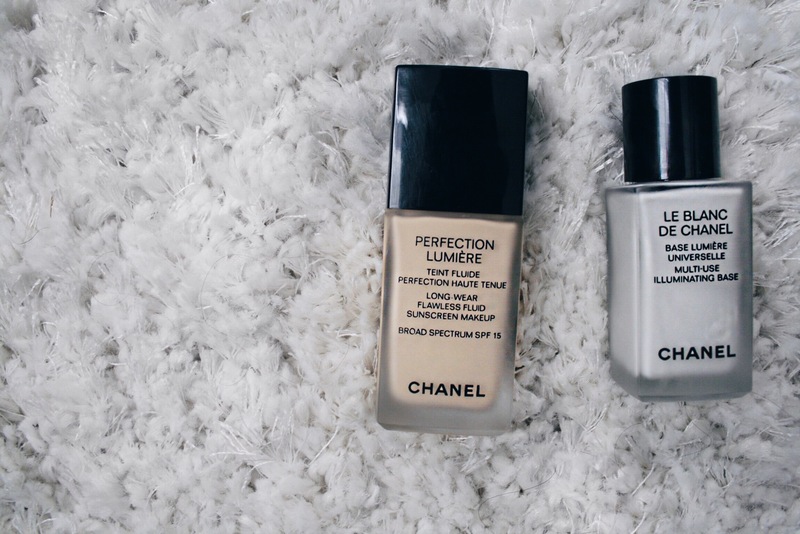 This particular Chanel foundation is a splurge for me! Since I have acne prone skin, it’s usually better to use more of a high quality foundation to minimize breakouts as much as possible. The Le Blanc primer leaves my skin feeling fresh, and blends so well with the foundation for a nice natural glow. 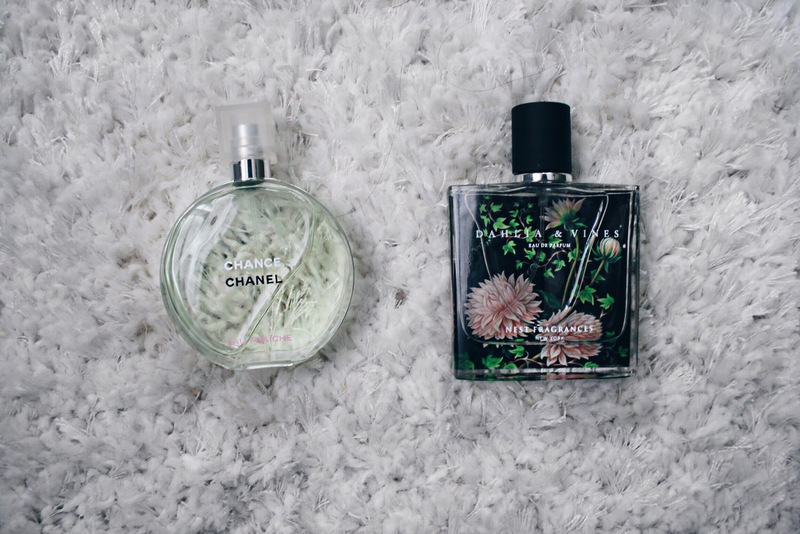 Chanel Chance is one of my all time favorite perfumes, I’ve been wearing it since high-school! It’s fresh + light. I also got the new Nest perfume for Christmas + I love it’s strong floral scent. It usually lasts all day!